For customers who are searching for strength, consistency and quality, Anaco is the answer. Our state-of-the-art manufacturing facilities produce a wide range of specialty couplings and gaskets. From our heavy-duty, high-performance Husky 4000 coupling to the Anaco no-hub coupling, we make products of varying strengths and sizes for customers across the nation. Where other companies may cut corners in their production, here at Anaco we’ve made a capital investment to create a safe and modernized business that will last for years to come. When it comes to Anaco, we strive for perfection. Anaco manufactures a complete line of standard no-hub stainless steel couplings for no-hub cast iron soil pipe. Under our Husky brand we manufacture a complete line of heavy-duty and value-engineered stainless steel, shielded no-hub couplings. We also produce a line of specialty transitional couplings by Cremco that conjoins dissimilar piping materials. Located on the sunny streets of Corona, California, Anaco is recognized as the premier manufacturers of stainless steel couplings and service weight gaskets in the United States. Our comprehensive facilities and innovative technologies have helped make us an economic and community leader. From environmental responsibility to employee training and community outreach, we do it all. By manufacturing all parts of the Anaco and Husky couplings in-house, total quality control can be accomplished and a superior product can be produced. That’s what sets us apart. 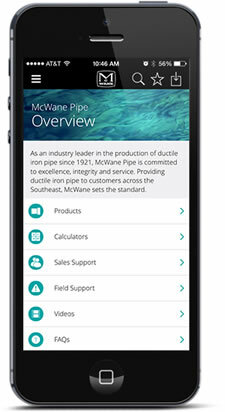 Anaco is owned by McWane Inc., a privately held family company located in Birmingham, Alabama.